2.Blockchain-based smart contracts minimize participants’ risks. "We present to you the Ubex project - a global, decentralized exchange of programmatic advertising based on neural networks and smart contracts." Please explain how you deploy neural networks and for what purpose? Flag for not completing the KYC report. Strong team! The best social media and marketing activities I have ever seen with any projects till date!! Not much activity on platform developer side over a month and half. I understand code can be private but would like to see github activities for such a big technology team and most popular project! Solid white-paper with all detailed finance and technology details. Will be looking forward for the development of the real product. Solid team with a product that will compete with the best in the industry. Highly commercial and a good plan to tackle a market with a lot of fragmentation. The team is great they did a Viral Marketing in this Dump market and did some great job hats off those marketing guys... real the whole whitepaper dont get much information about token Economic.... but competitive analysis is present..... but I am really confused about the token model...which is very important ..... Found the demo of the app. already traded on Exchangers. Team showed me the token economy thanks to the team. Very good to use AI with the advertising. good idea and concept. Not sure about how the token model works. There are lots of companies already using same thing in real world but this will be new in Crypto/Blockchain world. The team is experienced and hype around ICO is really good. Good luck team!! Very interesting concept and big and experienced team. I think that AI in advertising can be extremely helpful, although there are a few firms tackling on this project. Yet, the team is super experienced and may deliver better than other projects. Good luck team! One of the biggest ICO during the last month with close to 100K community members. They did great advertising campaign, exchanges negotiations, etc. In general team did great work behind this project. Everyone that uses the internet to search for information, products or services is surely annoyed by pop-ads and banners for things that they don’t need at all or not at that moment. So using artificial intelligence to better match consumers, advertisers and publishers is a great concept and a vision that deserves 5 stars. Websites and platforms need to monetise in order for the running and upkeep, so freemium, premium, subscription and targeted advertising are effective ways to monetisation, however even seeing a effective targeted advert doesn’t mean the platform user will end buying the product or service. As the saying goes, “we all like to buy, but don’t want to be sold to”. Ubex is not the only one in the AI powered digital advertising space, hence 4 stars for the product. The team is very big and covers every aspect of the advertising business and the co-founder is even a lawyer and the legal expert for the Ubex ICO, therefore it’s incomprehensible that almost nearing the hard cap, the ICO KYC Report has not yet been conducted. For this reason, the team receives only a 4 star rating even that a 5 star rating would be deserving. 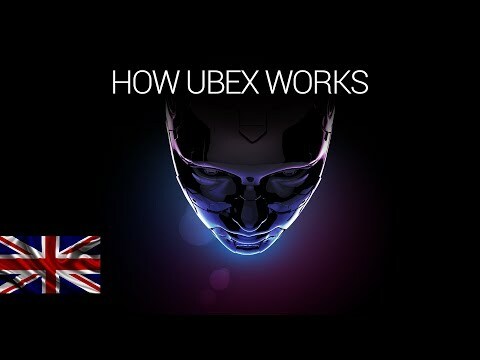 The website and white paper are very detailed, well designed and cover all aspects of the ICO, hence Ubex stands a great chance of success. All the best and good luck ! Project is dedicated to very important part of any B2C business processes. But there is one question - what is difference from other adversting-related projects? Token economy is not detailed good. "Means of payment for all" - it is so outdated now, in mid of 2018. Do you have any calculations of your token model? What finance turnout in system is required for receiving at least ICO price level for token? - Ad buyers advertise on these slots. The result: Reduce of commission by removing the middleman, Exchange automates the process, Tokenization of Ad slots and rating system for publishers and advertisers. The Team of Ubex Os very strong with great experience and knowledge in social media and marketing area. The Whitepaper is solid and you can find detailed financial information. Additional information about the token model is needed. Also the technology seems to be solid and the information about that is enough for a non-developer. Ubex is one of the most hyped Blockchain projects this year. Overall it seems that they build a solution / a real product which could be very successful in the market. If you visit the Ubex website, you will see that their token is already trading for 0.017$ at the moment of writing this post. On the website the token sale is still open and the tokens are being sold for 0.003$, almost 5X, something does not add up, right? It appears that anyone who is buying tokens at this stage is locked until the end of September or until the hard cap is reached, which means you don’t get the tokens the moment you send your contribution. If you are looking to find this information on their homepage or on their dashboard where you can find the addresses to make contributions, you won’t find anything there. Interesting concept with experienced team. AI in advertising with blockchain can be helpful for both. MVP is live good for investors. looks like one of the best project of this quarter Good luck team!